One of the first things that I learned to hate was asparagus. When I was 12 years old, if you’d told me that one day I would love asparagus, I would have known that you were touched with loonacy. It was during Easter, all those years ago, when my mother taught me to make cheese sauce. It was yummy rich with butter, half & half, and cheese. She was so pleased that I mastered her instructions. Then she bought out the cans…2 cans of asparagus. I’d never had asparagus and thought it must be the best stuff ever if it needs this cheese sauce. Then she opened the cans(yes, slimey canned asparagus!) 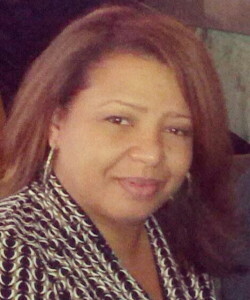 …although it didn’t smell like chitterlings(chit’lins), I had that same feeling of ‘how can it taste good if it doesn’t smell good?’ To this day, I don’t know if the asparagus tasted so badly that it ruined my perfect cheese sauce, or if it tasted so badly that it could not be helped by my perfect cheese sauce. Fast forward many years later and witness my love for asparagus. This simple recipe is one of my favorites: blanched asparagus, sauteed in butter and olive oil, a fresh squeeze of lemon, and shaved Parmesan. No special equipment required…Just use your hands to easily snap off hard bottoms…Store uncooked asparagus, refrigerated, bottoms down in a cup with water. 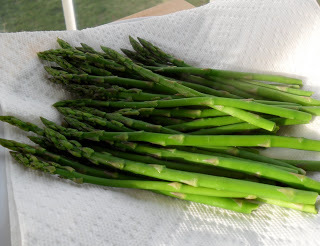 After blanching & shocking asparagus, drain on a paper towel lined plate…You’re ready to saute! *Snap hard bottoms from asparagus. In a large skillet, bring 2 inches of water to a boil. Add asparagus to water for 30 seconds. 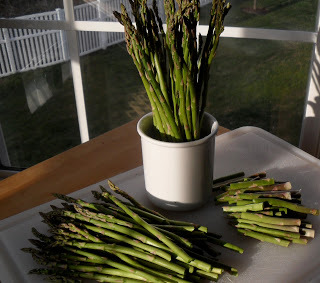 When finished, pour off water and transfer asparagus to a large bowl filled with ice water. Allow to stand for 5 minutes. Remove asparagus and allow to drain on a paper towel lined plate. Using the skillet, heat butter and olive oil on medium/high heat until butter sizzles. Add asparagus and saute for 1 minute to coat all spears with butter mixture. Do Not Overcook. Squeeze lemon over asparagus and sprinkle with salt. 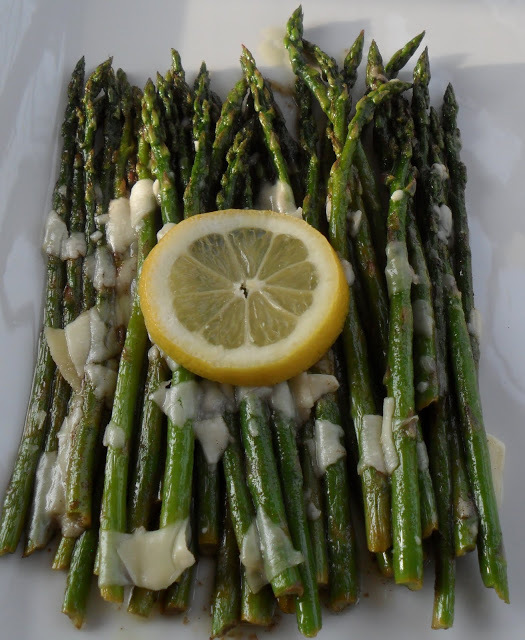 Transfer asparagus to a platter and top Parmesan cheese. Garnish with a slice of lemon. LOL, that stuff in a can..is sooo BAD ~snickers~. My mom used to try to get me to eat it as well & I wasn’t having it either. I was a grown adult before I ever tried the fresh stuff & then I fell in love. This I would gobble up for sure!!! Those asparagus spears look so beautiful. 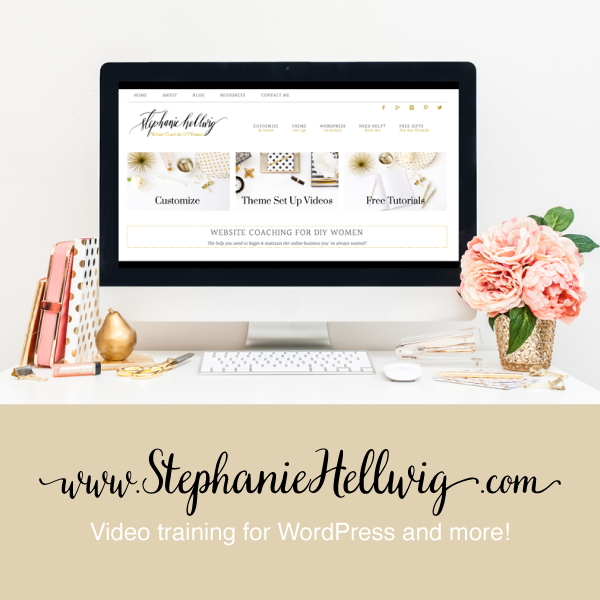 Really pretty pictures! So glad you learned to love asparagus. It is such a treat, especially fresh from the farmer’s market.